Fresh round of mud slinging between Jewish Home and National Union amid stalled talks. Jewish Home says it is ready to run alone. 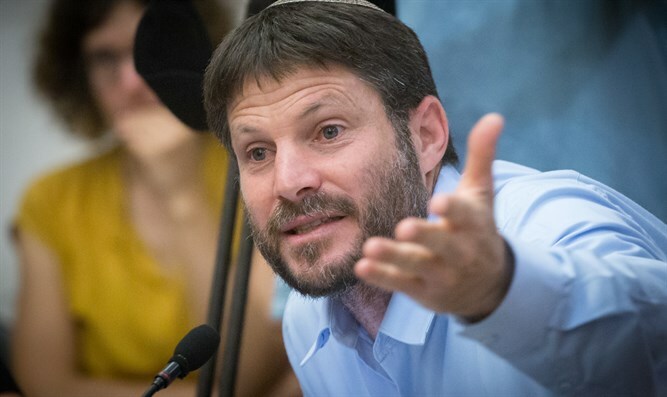 National Union leader Bezalel Smotrich blamed Jewish Home head Rabbi Rafi Peretz for the collapse in talks between the two sides for a joint run. Negotiations had broken up on Saturday evening after only five minutes, ending the latest round of talks. There are no future talks planned and the Jewish Home said in a statement soon after that it is prepared to run alone. According to Smotrich, Peretz was at fault for the "dead end" after he reneged on a deal that would let Peretz lead the union while granting the National Union the most senior ministerial portfolio. "On Thursday and Friday, I held a long personal conversation with the elected chairman of the Jewish Home Rabbi Rafi Peretz, with the aim of reaching an agreement and signing a joint run by the two parties in the coming elections on the basis of equality and joint leadership," said Smotrich. "And indeed, without intermediaries and advisors - and after significant concessions on my part to quickly close the joint run- we were able to reach full understandings before the start of the Sabbath." "In this framework, it was agreed that Rabbi Peretz would be placed first on the list and the National Union would be given the right to choose the first position. They call it egalitarianism," continued Smotrich. "Unfortunately, at the end of the Sabbath, Rabbi Peretz informed me that after consulting with his associates, he decided to withdraw from the agreement to an equal list and joint leadership." Therefore, negotiations at this stage have reached a dead end. Out of responsibility, I intend to continue to do everything possible to reach a broad list of all the elements of religious Zionism and the right wing."